There are two types of dentures: partial and full dentures. Both types are made in a dental lab, based on a mould or an impression of your mouth. A partial denture is also called a removable partial denture. It is made up of one or more false teeth, and held in place by clasps that fit onto nearby teeth. You can take the partial denture out yourself, for cleaning and at night. A partial denture may be used when nearby teeth are not strong enough to hold a bridge, or when more than just a few teeth are missing. Today's technology allows denture wearers the freedom to never worry about unsightly metal clasps again. In many cases, Evergreen Dental can offer patients the option to have tooth coloured denture clasps. These clasps are very tough and flexible and come in shades to match your supporting teeth. 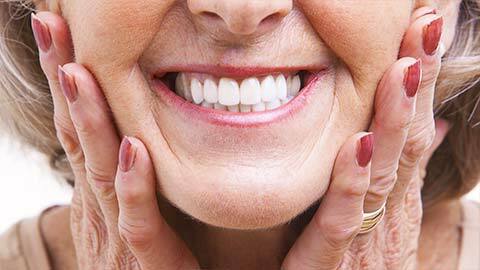 A full denture is also called a complete denture. It can be used when all your natural teeth are missing. You can take the partial denture out yourself, for cleaning and at night. For those interested in learning more about dentures, book an appointment today and check out the teaching model we have in office. These are dentures that appear to be normal dentures but have a mechanical attachment to a dental implant or a tooth root. They snap into place but are removable (with effort) by the patient. For a long time, denture-wearers have struggled with loose dentures that affect their speech and don’t allow them to eat their favourite foods. Many times the dentures are just not worn, and this is particularly the case with lower full dentures. 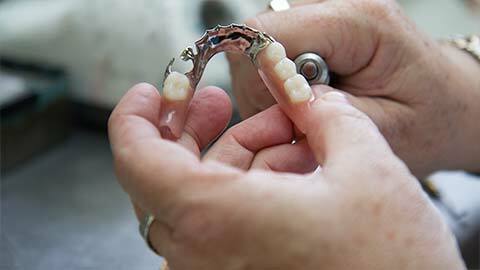 Attached dentures are a wonderful option for denture wearers. The extraordinary retention of these dentures gives often frustrated and hopeless patients a whole new confidence and security. If you need more information about Dentures in Dartmouth, contact us today.